This is the first official intensive 2-day training in London and will provide students with an introduction to the latest technology and Docker containers. 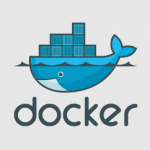 It is intended for administrators and developers who want to understand the use of Docker. 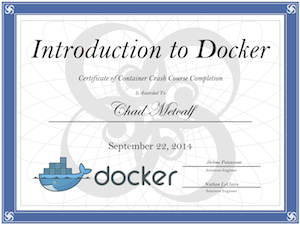 Docker Inc. will provide trainees with an official certificate of completion at the end of this training. There are only 20 seats available, with the first 8 at a special Early Birds rate (please note all the Early Birds seats are now gone). History of Docker / About Docker Inc.
By the end of the course you will be familiar with the “why” of Docker. You will also be able to perform the basic tasks needed to get started with Docker and integrate it into your working environment. 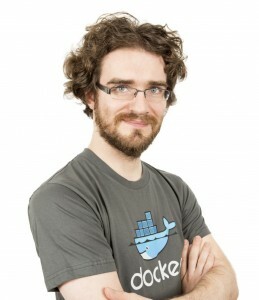 Jérôme Petazzoni is a senior engineer at Docker, where he helps others to containerize all the things. In another life he built and operated Xen clouds when EC2 was just the name of a plane, developed a GIS to deploy fiber interconnects through the French subway, managed commando deployments of large-scale video streaming systems in bandwidth-constrained environments such as conference centers, operated and scaled the dotCloud PAAS, and various other feats of technical wizardry. When annoyed, he threatens to replace things with a very small shell script. Please arrive before 9am for coffee and setup 🙂 and remember to bring your laptop with you!